Sometimes you just come across a gem. This one is one of a couple library books we checked out while looking for stories about elves. (Yes, my daughter is into that Elf on a Shelf craze and wanted to learn more about elves like her Mr.Whistler scout elf.) 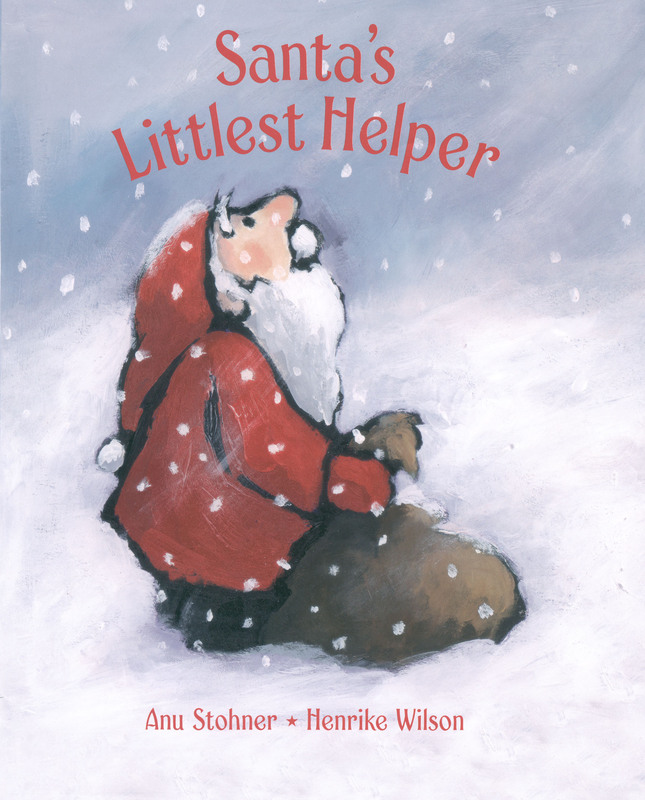 I thought Santa’s Littlest Helper would be a story similar to Rudolph the Red Nosed Reindeer, and it was… yet it wasn’t. My daughter has recently pointed out that Santa doesn’t treat his reindeer very nicely- and we’ve noticed in most movies and stories, it’s true! I don’t want to give anything away but Santa’s Littlest Helper is definitely more animal-friendly. One of the best things about children’s books for a visual person like me is the illustrations and Henrike Wilson creates some delightful and appealing black-outlined images. I do have to say, it is a little unsettling that Wilson’s elves all look exactly like little Santas! Once I got over that, I found the painterly images adorable and I suddenly got a craving for a white Christmas.